New Weekdone 3 launch focuses on "You" – the Superhero at Work. Over 2.3 million weekly status items and 300 thousand quarterly goals added. Introduces the Personalized Coaching Dashboard. Improves personal goal-setting and self-development, launches private items. Company profitable since January 2015 and growing month by month. Used on all continents from startups to Fortune 500. Tartu, Estonia – October 17, 2016 – Today, on it's 4th birthday, Weekdone announced the worldwide release of Weekdone 3. 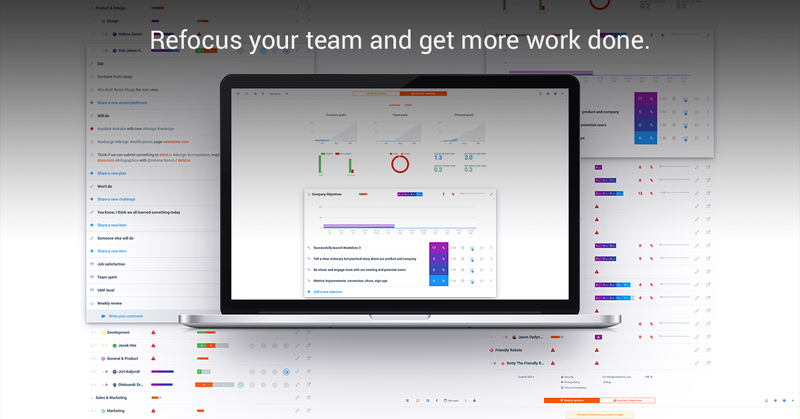 This new version offers improved goal-setting and planning for teams, which puts even more focus on individuals and ensures better results in their daily work. As a major improvement, the new version includes a Personalized Coaching Dashboard. Weekdone has also hit significant milestones with over 2.3 million weekly status items, 300 thousand quarterly objectives and key results, 400 thousand comments, 160 thousand likes, and 145 thousand job satisfaction and happiness ratings added by it's users. "Weekdone 3 is the culmination of what we have learned over the last 4 years," said Jüri Kaljundi, CEO & Co-founder of Weekdone. "Working hand in hand with our users, we have looked into what makes teams and people productive and proud of their accomplishments. Based on that, we now share the same proven guidelines, methods, and lessons learned with everyone. Weekdone 3 is your personal coach for getting better work done." Weekdone 3 is all about "You" – the individual at work. It's about taking pride in getting your daily work done and being the best. Expanding on it's already loved feature set – the weekly team status updates and quarterly objectives and key results – Weekdone 3 now adds even better personal goal-setting and achievement tracking features for individuals at work. The development of the new version was fueled by Weekdone seeing more and more people using the tool for personal goal-setting. "We really believe anyone can be a superhero at work," Kaljundi said. "Weekdone is built around the premise that being more successful and getting the right things done starts from setting the right goals for yourself and communicating them to co-workers and leaders. It's not about long lists of undone tasks. It's about choosing and communicating a few important goals and plans, and then doing whatever it takes to get those done. We like to say that it's about getting more done by doing less. It's about choosing what matters, and then keeping a laser-like focus on executing it." Now even an individual user can use Weekdone 3 to make their days, weeks and quarters more productive and successful. 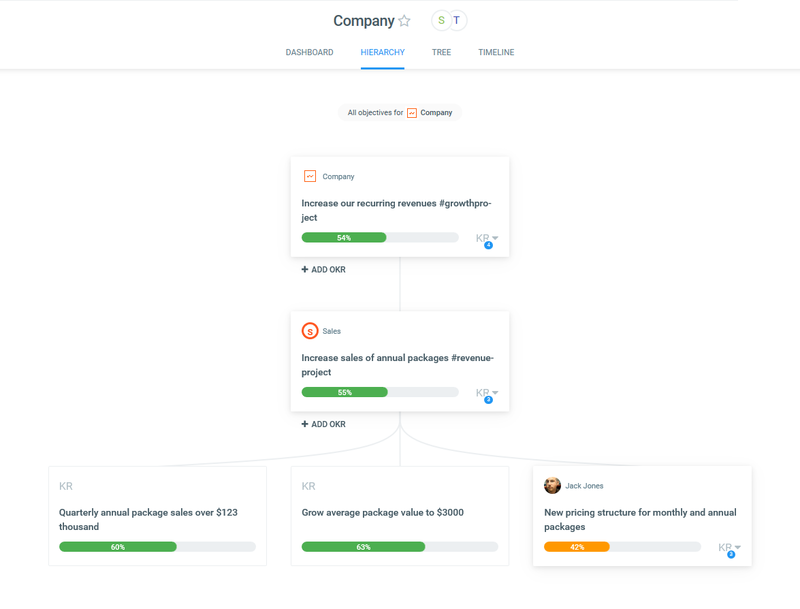 The service is still free for individual users and teams of up to 3 people, with per-user pricing starting from 4-user teams. The new Personalized Coaching Dashboard in Weekdone gives you daily guidance and statistics about your work, creating a more quantified self. Its dynamic goal cards teach you the best practices to follow for a successful work week. The coaching dashboard launches today with around 20 best practice behaviours to increase productivity. For example: the dashboard reminds you to add at least 5 important plans for the week on Monday, to get to 5 big accomplishments by Friday, update your long-term objectives' key result progress, and to give positive feedback to 3 co-workers weekly. As you get those tasks done, each card turns from red, to amber, to green and gives positive encouragement along the way. As your accomplish your existing goals new cards and goals will appear. The goals include a mix of weekly and quarterly activities as well as both social and fun statistical indicators, such as your: Most Productive Day. As you get things done, a real-time personal Weekscore rates your activity level on a scale of 0 to 100. This allows you to reflect and improve upon your everyday activities. Weekdone has been using both team and company Weekscores for a few years, but now with the personal Weekscore users can get important statistics at all levels. As a much requested feature, you are now also able to add private items. Private items are only visible only to the creator. This allows you to use Weekdone 3 as a lightweight personal task manager or to jot down notes and ideas. If needed, you can make these items public and share them later. The main goal in designing Weekdone 3 was to make Weekdone easier to use in your daily interactions. A more modern design, greater focus on content, cleaner lines, and simplified navigation means the users can get things done faster. The sidebar allows you to quickly switch between items, the full Company Report, any teams, departments, and other people. The new social interaction badges let you put a face to an action by quickly seeing who liked, commented on, or assigned an item. To get an update on OKR progress, there are now beautiful, recurrent update emails. It's also much easier to link your weekly items to long-term objectives. Weekdone was launched exactly 4 years ago on October 17th, 2012. Weekdone has been cash-flow positive since January 2015, and fueled by very little external financing. Weekdone is now successfully used from startups and SMEs to Fortune 500 on all continents, besides Antarctica. Within Weekdone, users have added over 2.3 million weekly items, over 300 thousand objectives and key results, 400 thousand comments, 160 thousand likes, and 145 thousand job satisfaction and happiness ratings. Out of the weekly items 58% have been progress, 30% plans, 5% problems, and 7% from custom categories. 46% of Weekdone visitors are in the age group of 25 to 34 years old, 26% are 25 to 44 years old, 12% are 45 to 54 years old, 10% are 18 to 24 years old, 5% are 55 to 64 years old, and 2% are older than 65 years old. Weekdone was first launched exactly 4 years ago as a simple weekly team reporting tool. It was built on the famous PPP – Plans, Progress, Problems – status updates methodology, used at companies like Skype and eBay. 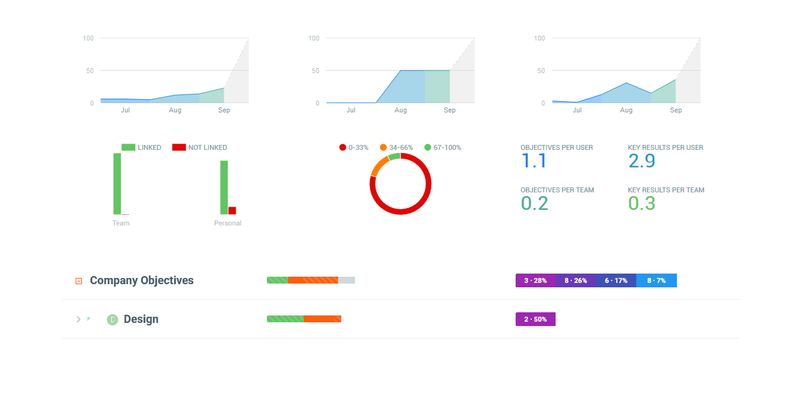 2 years ago, in summer 2014, Weekdone incorporated the fast-growing best practice methodology of OKRs – Objectives and Key Results. OKRs are utilized by companies such as Intel, Google, LinkedIn, Twitter, and many others. Since then, Weekdone has become one of the world's top five goal-setting and team status updates tools for teams and their leaders. Weekdone differentiates itself through its seamless integration of long- and short-term planning. Research and usage patterns show that the teams connecting their quarterly objectives with weekly and daily plans and progress get more done in a focused, well aligned way.